The perfect download database (filebase) for your community. Only usable with a valid WoltLablicense for the relevant app! The apps can also be installed as a full installer with menus, boxes, pages, cronjobs, packages directly in portuguese. 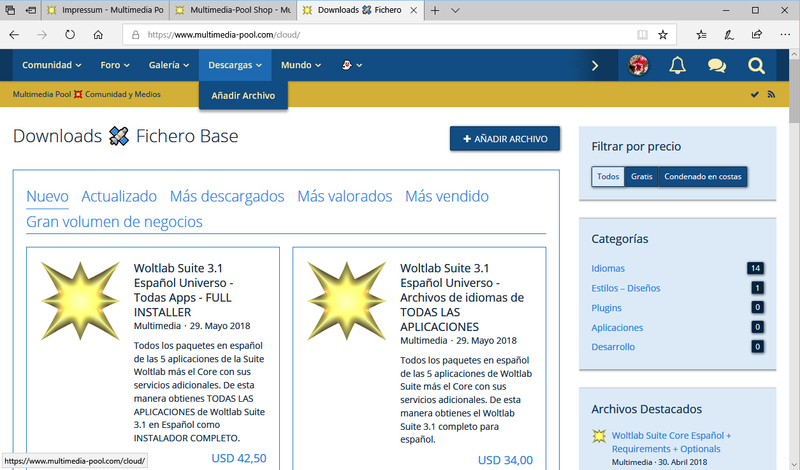 This feature allows you to select Spanish (Español) at the beginning of the installation, both as interface language and content language.